Welcome to the friendly neighborhood of Windmill Village. 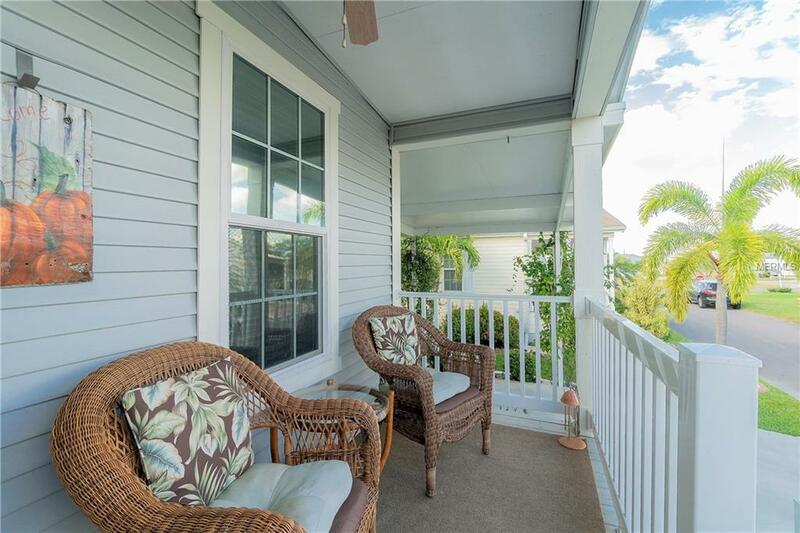 A resident owned deeded 55+ gated community with marina located in Punta Gorda. 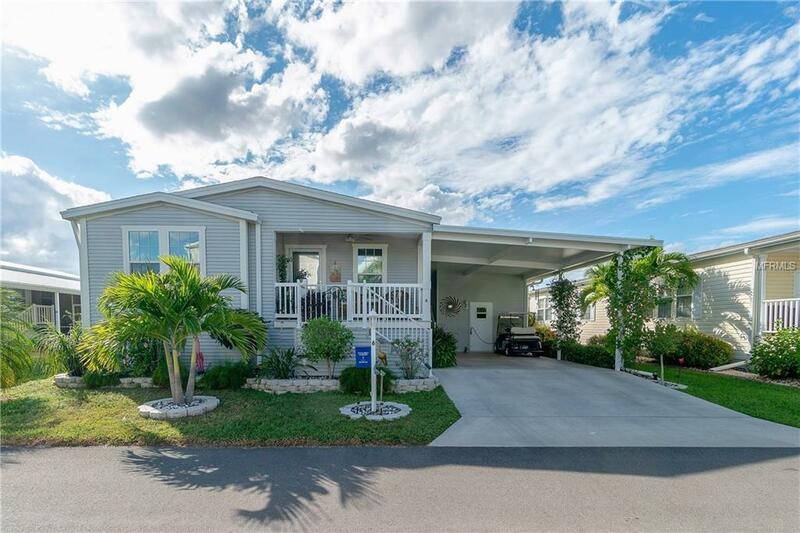 This charming 2015 Palm Harbor cottage style home with 2 bedrooms and 2 bathrooms has 1,313 square feet of living space. 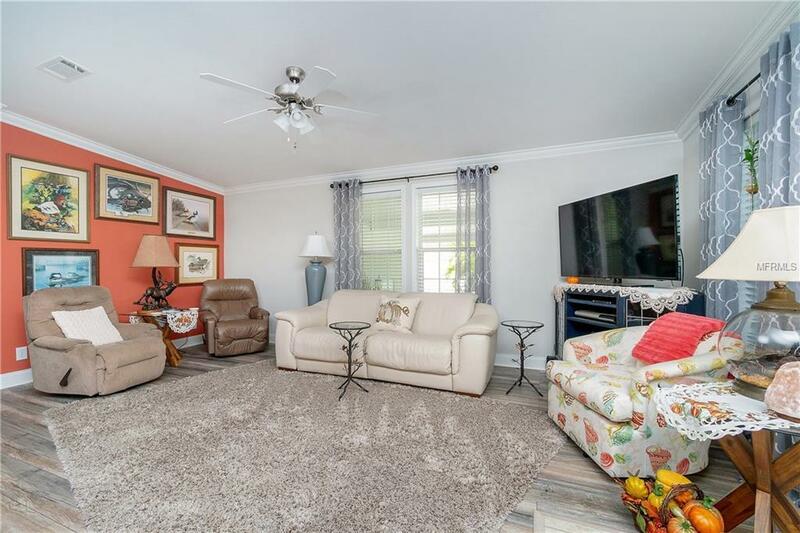 As soon as you enter you notice how spacious and bright this home is with high ceilings and plenty of double-pained windows to let in the natural light. Kitchen area features breakfast bar with pendant lighting, beautiful wood cabinetry and plenty of counter space. Appliances like new. Kitchen is open to the dining/living room area. The 16x18 Florida room is screened (with windows) and is the perfect spot to entertain family and friends or relax and enjoy the day. Spacious master suite is carpeted and mater bath with dual sinks and large ceramic tiled walk-in shower. The guest bedroom is just as big with enormous walk-in closet and carpeting. 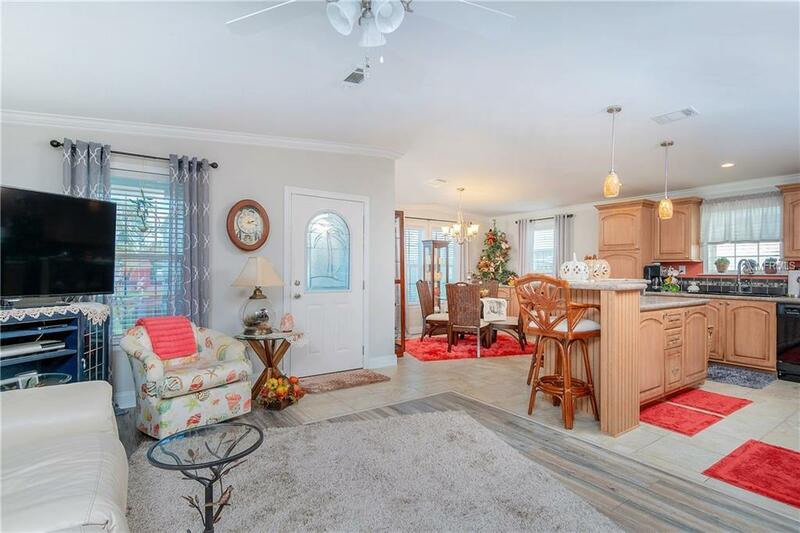 Home features custom flooring, crown molding and drywall throughout. The shed has plenty of cabinets and storage shelves for all your tools and toys. The Windmill Village community features 2 Marinas with free boat slips and access to the Gulf. Woodworking shop, private boat ramp, Post Office, trailer storage yard, Community Center for all your social events. Clubhouse has billiard room, library, and banquet hall. Tiki hut by the heated pool. Price does not include Windmill Village park share & bond buy-in of $18,285 (returned when you sell). Home is completely spotless and beautifully landscaped.